Preamble: The following is a translation of an interview given by Colonel-General Vladimir Ruban to the “Ukrainskaya Pravda” newspaper. There is much that is of great interest, and the General undoubtedly deserves great respect for the work he is involved in. Nonetheless, his connection to the Ukrainian Army and government gives us reason to doubt his claims of torture being conducted by the Militia or his suggestion that there may be mercenaries fighting on the side of the Militia. For more than three months Colonel-General Vladimir Ruban has been engaged in freeing people who were taken captive in eastern Ukraine. Recently, he founded a specialised centre that anybody whose relatives were taken hostage can contact. For many, Ruban has already become a legend. He is even the only Ukrainian professional negotiator who, they say, is admired by “Demon”—the Gorlovka DNR Militia commander, Igor Bezler. It was Ruban who managed to negotiate improved conditions of detention and, later, to rescue seventeen people from captivity, including soldiers from the 72nd and 25th brigades and several civilians, including Basil Budika, whom Bezler “shot” on camera in May. General Ruban rarely smiles. He has the look of a man with nerves of steel and perfect composure. It is impossible to crack him. It seems as though in his head he calculates many steps ahead, and his every response—it is but the tip of an iceberg. The correspondent of “Ukrainskaya Pravda” talked with the General about what happens to detainees in captivity, the ethics of ransom and who is fighting on the territory of eastern Ukraine. Ukrainskaya Pravda: How many people have you liberated so far? General Ruban: More than a hundred. We stopped counting after one hundred. UP: How many calls per day do you receive from people looking for missing persons? UP: Do you answer the phone by yourself? GR: No, we have a department of experts who respond to them. In the past, a POW was the responsibility of the “officer corps”—the ten men who have accumulated the information—but it was not systematized. UP: What is your current role in this organisation? I know that you are the only professional negotiator, and that everything depends on you. That, in fact, it all began with you. How will it work from now on? GR: We will carry on as we did before. I run the centre. UP: But everything rests upon your authority…? GR: That is the only way there, behind the front-line. Everything, indeed, rests on human authority. If a man keeps his word, they will work with him. If he does not—they will show distrust. UP: The people who work with you in the centre—are they considered trustworthy? Do they work independently? GR: No. I conduct all the negotiations personally. There is a key password, and after it is accepted, we shake hands—and then the work begins. This is the word of an officer. If I give my word as an officer, it means we have reached an agreement. The other side knows that the officers and I will do everything possible to keep our word. We always do, regardless of the circumstances. We cannot break our word. GR: Yes, it has increased dramatically. But now the Presidential Administration has joined the work and the President himself understands the need for this work; also the Security Service and the Ministry of Defence. They have seen that this way works. They have seen the benefits of this work. UP: But before that they did not see the benefit? GR: They did not fully understand. It took some time to sink in. Most of them are new: new Defence Minister, new VP, new President. UP: Nevertheless, the problem was already apparent in March in the Crimea. Back then all this work was done by volunteers, by journalists. We would go and try to free people. It was not easy, because we have no training, and we certainly made mistakes. At the time, in reality, there was nobody else who could act in this capacity. GR: There was a department in the SBU Academy which prepared negotiators. I do not know where they are. No one knows. The police have…(corrects himself -UP) there should be—a special department that works with hostages and negotiates in difficult situations. Probably, there was no need in the past, and there are no such specialists. UP: That is, there are people who were trained, but until now there was no such structure? GR: Maybe there is, but it is well hidden. UP: And we cannot see the results of their work. GR: Yes, because we cannot find them. For now it is good that both sides have realized that it is necessary to release the POWs. Along the way, it solves many problems; such as conditions in captivity. When people are exchanged, I look them over. When I take people from this side, we look critically at how the prisoners were treated. We have agreed that the prisoners should be treated decently. To begin with, they should not be barefoot, they should be given some shoes. Then we look at conditions of detention, check whether they were fed. We have agreed: they must be fed. Next—the medical treatment. Both sides provide medical treatment to the prisoners who need it. One day in Lugansk a doctor recommended immediately hospitalizing an officer to save his hand. He had developed gangrene and needed a complex medical intervention. I did not have time to arrive from Kiev to get him to the hospital, so he was transported to Russia. They saved the man’s life, a prisoner’s life. UP: And did they return him? GR: He has not yet returned. He needs a complex medical intervention, over a long term. I do not know what his fate will be—whether he will be allowed to return or not—but the important thing is that prisoners are not shot; they are prepared for the exchange. UP: There are different types of prisoners. There are civilian prisoners and military prisoners. There are also different reasons for taking hostages. In many cases it is simple blackmail. How do you work with gangs who kidnap people for financial profit, who are not interested in an exchange? GR: It is necessary to find money and bail-out such people. GR: Here we have to learn from the experience of Israel. Israel does not negotiate with terrorists, and, in such situations they do not ransom people for money. They used to brag about it for a long time. Now they have realized that this tactic is wrong and they have established a negotiation centre for the release of prisoners that deals with different situations, including demands for ransom. This option should be a last resort. If those who hold hostages are firm that they will return people only in exchange for money—we establish contact with them and negotiate a ransom. If, however, they are—in whatever way—part of the structure of the Donetsk and Lugansk Republics, in such cases, I find these prisoners, start negotiations, inform the leadership; and they release these prisoners, exchanging them and putting a stop to the schemes of profiteers. From the outset we agreed that people would not be bought and sold for money. We have this opportunity. UP: And what do the leaderships of the DNR and the LNR get out of it? GR: This way they show that they care about their people who have been captured, or who are in prison—exactly what the President (of Ukraine -UP) gets from it. It shows that he cares about his citizens. And this is how it should be; he is entrusted by the voters, they are in captivity; so the President should get them out. The Lugansk and Donetsk side treats their people the same way. They actually want to get all of their people released. And it is normal, it is humane. UP: And is it possible? GR: Yes, it is possible. UP: That is the ultimate goal—to exchange everyone? GR: That is the idea—the maximum. My job is to free people from all sides. UP: Explain what the differences and complexities are between negotiations about the release of prisoners of war and civilians. My understanding is that it is more difficult in civilian cases? GR: There is not much difference. Simply put, there was a time when there were more civil activists among the prisoners. It is easier with the military, because questions do not arise with them. You just go and get them released. In the case of a civilian prisoner, I need to double-check whether I should get this man released, exchanged, or if I should convince whichever side holds him to just let him go. Not long ago, a wife of one of the prisoners called and said that three agricultural workers had walked home from work in the evening through the check-post. They were mistaken for spies, and were taken for questioning. They were all knee-capped. And with a capped knee, many prisoners agree to be “spies”. Even the locals. GR: Yes, even without shot-up knees. In the end, it was confirmed that they were just agricultural workers, and they were released. Cases like this occur on both sides. This is not normal. This has to stop. UP: What about the activists detained in the DNR and the LNR? Is it more difficult to work on releasing such people? Is it harder to free a civil activist who advocates a United Ukraine than it is to free an agricultural worker? GR: It is harder. He has to be exchanged. If he was just a volunteer delivering food, it is easier. If he was delivering bulletproof vests, literature, or was himself carrying a gun, it is more difficult. UP: There is this delicate issue: when someone goes missing, how should the media and bloggers behave so as not to do any harm? Many have already been advised that if the story becomes widely known, it complicates your job. GR: It depends. Yes, sometimes it complicates the work for the negotiator, and for the prisoner himself. Information should be given in small doses, without any inaccuracies. For example, they write that an activist of the Right Sector was taken captive—while the guy does not even know what the Right Sector is. Well, he had a black and red flag, but it does not mean that he is an activist. For the other side this would be an argument to hold him for longer, to torture more harshly. Well, the prisoners must also be careful. I had a case where the person who was about to be exchanged was asked before leaving to nevertheless say what he had done. And he said too much. As a result, it has been three weeks already, and I am struggling to get him released. UP: Was it a trick? GR: It was not premeditated. It just so happened that they asked, and he accidentally talked himself into trouble… A lot of prisoners make up stories about themselves, inflate their own value, in order to survive. They imagine that they will be shot, and that they have to show how important they are. For example, they say that they are spotters. I know a dozen “spotters” who have been held in Donetsk. They are not spotters; they do not even know what a “spotter” is. UP: And what were they supposed to say? GR: It is hard to say. Let everyone in captivity behave the way they see the situation and how they are able to. UP: But one needs to be honest? GR: It is better to be honest, if you are not in the military and not a professional spy. UP: Two days ago, I was approached by people who said that a blogger, who was allegedly a spotter, was detained in Makeyevka. His mother was told he would be shot. What is the best way to behave in a situation like this? GR: Firstly, it is necessary to contact our centre. We contact the person who holds him, or that person’s superiors, and discuss the problem. No one will be shot “on Tuesday, at noon.” No one could create a Saturday evening deadline to release someone from prison. That is what the negotiators are for, to explain the procedures for the release and to negotiate. It is just a way to strengthen their position, but we should keep in mind that when a commander just exchanges people, this position gets accepted. But, if he said that he would shoot the guy before Tuesday—he automatically passes to the rank of a terrorist, because he threatened to take the life of a prisoner. That is wrong. UP: Do you know the total number of people that were shot in captivity during this period? GR: I know an approximate number, but I am not going to say. UP: Can you tell me where is now the most dangerous place? Where do they employ the most brutal torture? GR: There is no such thing as “the most brutal” or “most dangerous.” We have been working for three months, and the conditions everywhere are more or less the same. There are rare renegades; there always are, in every war. Someone’s nerves might let him down, someone might be inherently abnormal; someone wants to shoot the prisoners, he walks with a gun; someone wants to throw a grenade into the room with the prisoners, as revenge. These are, as a rule, people of a low moral level, uneducated, just playing with words. It could also be a result of alcohol or a certain mental predisposition. UP: What kind of people do you negotiate with? What kind of personalities do they have? What do they do it for? You’ve probably had enough time to create a profile. GR: And what does the Ukrainian Army captures prisoners for? What kind of people are in the Ukrainian Army and battalions? UP: You mean, for you there is no difference? GR: So for you, it is not the same? Have six million Lugansk and Donetsk inhabitants suddenly became your enemies? UP: No, civilians are not enemies. GR: And, those who are armed—there are 15,000—are they enemies? UP: Well, in fact, yes. These are people who threaten the lives and well-being of innocent people. GR: An army threatens the lives and well-being of innocent people. It is created for this purpose. Officers who have graduated from military school—they are professional killers, or didn’t you know this? You did not know? This is not a man who walks with a flag at the parade, but a man who kills another man in a trench. He learned this, just as I did—in my case, to become a fighter pilot. A beautiful word; at home it is common. Remove the word pilot and understand what I am: a fighter, an exterminator. What do I have to do?—Exterminate. I do not relate to those people as you would relate to the enemies. It is easy for you to take this attitude. But I have known these people for a long time. There are officers who went through Afghanistan, who protested against Yanukovych alongside us. There are people with whom we stood on the Maidan—Euromaidan. Only, we did not call it by that name. 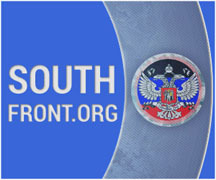 GR: There—on the other side, behind the line, in the Lugansk and the Donetsk Republics. UP: You mean, these people were with you during Maidan? GR: Yes, they are now fighting the Ukrainian Army. They [who stood on Maidan -ed.] are on both sides. UP: And why do they do it…? GR: Why did Right Sector do it on Maidan? Or why did anyone stand on Maidan? UP: If they were on the same Maidan, why do they now oppose those people with whom they used to stand hand in hand? GR: Because the people who were on Maidan were satisfied with the removal of Yanukovych—that is all. None of the rest of the demands was met. So, they decided to go all the way. For them, removing Yanukovych was not enough; they need a real change. And most of the measures they demand are the same as were proclaimed on Maidan. UP: But it looks completely different. GR: For this we have to thank the journalists and all the others who called them terrorists. And those who coined with the phrase “ATO” instead of the word “war”. GR: What does Russia have to do with it? UP: You believe Russia is not involved in this conflict? GR: Did you see any Russian troops there? UP: I saw militants there from Russia. GR: Have you seen any involvement of Russian troops? GR: You will also not see them unofficially—because they are not there. If you have seen someone who is Russian, or military, this does not imply Russian involvement. UP: Then what should it be called? GR: Whatever you like. You know that mercenaries are fighting on both sides? GR: On both sides. As on the Ukrainian, so on the Lugansk and Donetsk sides. Well, what would you call it, considering that Poland and Sweden are fighting alongside us? There is a bad joke: “The USA will fight Russia until the last Ukrainian”. That is more how it is. But this is geopolitics, and should be discussed in a very different place. National Security experts can talk about it. We work directly in the field and, using this knowledge and experience, call a spade a spade. If there is a supply of Russian weapons, that is one thing. What kind of person delivers these weapons? Putin may forbid it; that is another matter. If there are Russian officers there, that is also another question. But it is not Russian involvement. UP: Then what is it called? UP: That is what I have been doing these last six months. GR: And, what, everyone is a Russian officer? Everyone is a Chechen? UP: No, not all, but the backbone is. People who guide the process are. GR: Are you being serious? With Ukrainian passports? UP: Quite a few with Russian passports. GR: Even in the Soviet Union, we went to other countries as “miners, to exchange experiences”—we were military advisers. Similarly, there are advisers and experts from different countries. Not because the country sends them, but, because the people ask for their help. Imagine, we are creating a little gang, but we need an expert, and we invite some kind of bandit so we can be advised on what to do and how. UP: But the people who instruct in what to do and how are all from Russia. How can we say that this process is internal if it is controlled from the outside? GR: You say that, if that’s how you wish to see it. UP: No, I’m trying to understand. GR: Then understand. I told you my opinion. All the issues are resolved within the Ukraine. Either side could have won this war eight times already. GR: If there was a desire to win, rather than just to drag it out. Three months was enough time to organize a ceasefire and to come to an agreement. In any situation, you can always stop the firing and negotiate. UP: Why, in your opinion, is this not happening? GR: Someone is not interested in ending the war. I can work on the agreement. UP: And you would do it? Currently, the laws of war do not apply. Kiev is afraid of martial law and does not know what it is. Civilians, those in power, are afraid of war, because, when there is martial law—civilians may be out of power, and the military will be in charge. As a result, the entire infrastructure suffers, people suffer. UP: Do you think that it is necessary to declare martial law? GR: If there is a war, then you need to declare martial law. Journalists should be prohibited from writing about war, because they do not understand what it is. Only specialists should be allowed to do so. There should be strict censorship on this occasion, to avoid any harm being done. Generally, I am against censorship; but I say that it is necessary, because I know. Taxes should be collected properly and not in the manner of Yatsenyuk, begging the parliament to add a tax on each law. In war, everything is very simple. There is war, there are questions, there is victory. There is a purpose. But here there is no clear purpose. GR: Kievans want this. Do you think that the government wants the same? UP: Nobody would benefit from martial law. In western Ukraine it is as if there were no war. GR: So the apartment only suffers if martial law is declared in the kitchen? But if it is declared in the bedroom then everything is all right? This is your apartment, and you need to manage it, so martial law should be everywhere: in the bedroom and the kitchen. 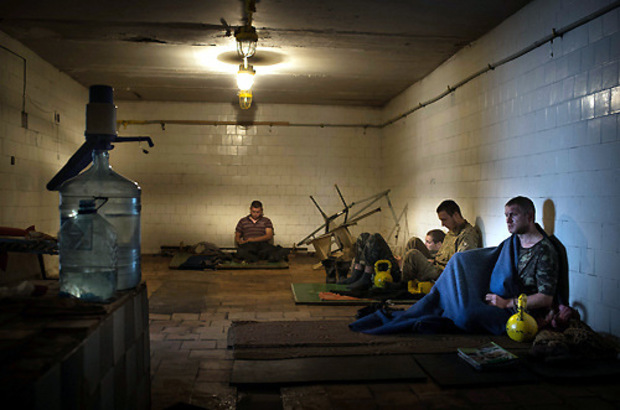 Western Ukraine, whether it wants it or not, is involved in the war, it sends its soldiers. I see them, because I rescue them from captivity. They cannot say a word in Russian. Yet they are just as much involved. So this is not an anti-terrorist operation. This is war. UP: What kind of war? GR: A new kind. Incomprehensible. Hybrid. Almost civil. UP: “Almost” —because there are “advisers”? GR: Advisers are always present. Almost civil, because ideologically it is nearly impossible to distinguish between the two sides. Both warring sides want to live well. They want to have smooth roads, a well-fed family. For them there is no big difference, whether to join Russia or the European Union or to remain independent. They want to live better. They were driven to poverty, both sides. UP: But war only makes it worse. GR: War—it is always progress, in both the soul and in the future. Ukraine is a rich country, it will never be impoverished. I think that the war will be over and people will be better off. UP: Even in the Donbass? UP: Meaning, there will not be a Transnistria 2? GR: No. Infrastructure has been destroyed, so it will not work. Ukrainians are hard-working, competent people. Top-notch engineers; and in Donetsk there is still one of the elite universities of Ukraine—the Polytechnic Institute. GR: This is a serious question: whose shell? There is some third party—we now call it thus—which scatters these shells and makes it look like one or the other side. UP: Who is the “third party”? GR: I do not know yet, I do not possess such information. We call it the third party. Bezler calls it the third party, and in Donetsk they call it the same. They are searching for it. Looking out for what kind of saboteurs are there. UP: You say that people are the same on both sides. Here is a situation: a mother was told that her son is going to be shot. An executioner and a priest were brought to him—she was told as much—and she was ready to crawl on her knees to beg the Militia for her son to be sent to at least dig trenches. Is that right? GR: Yes, that is right. When relatives are taking care of loved ones who are in captivity, it is wonderful. That is what a family is. A mother should not have voted mindlessly. The next time she will vote with her heart, taking into account the experience. And the son will choose his government correctly. UP: In your opinion, this is a path of purification? GR: Yes. We stopped visiting our parents and thinking about them enough. UP: And will the Militia be able to “choose with their heart”? Will they learn to think this way? GR: The Militia are exactly the same Ukrainians. They are not made from a different substance; their blood is of the same kind, it has the same red colour. They went to the same schools, sat at the same desks. UP: But their situation is slightly different. They are in the minority. GR: What minority? How many people have to be killed to consider Donbass being Ukrainian? A hundred thousand? Two? GR: Which means we need to talk. Negotiate. We must learn to listen. A good negotiator says little and listens a lot. UP: What do you think: Donetsk residents who are used to being passive about politics and life, will they learn anything? GR: Of course. They have already learned. We have all learned. After Maidan, Ukraine will never be the same again, even more so after the war. We are all different now. « We Did Not Go to War, the War Came to Us! 1) of course, the Ukrainian Army is quite dissatisfied with the unfolding of events on the field of battle. Lots of prisoners and encircled troops, much to do for this Colonel-General and his new Center of Negotiation. Ukrainian Army is fed up with the incompetence of Kiev, but who COMMANDED the Army out of the HQ anyway? Poroshenko, the General Staff, the US/NATO ‘advisers’? Isn’t it, that they WORKED TOGETHER for some time now? 2) Ruban tries to de-wash the brain of the journalist by calling some facts about the Civil War by name, that there is a UKRAINIAN conflict going on, fueled by geopolitical interests of Superpowers, that there have been mistreatment, executions and torture on both sides. Which would not astonish anybody researching ideologically driven conflict. He really is firm about the anti-racist viewpoint he has to offer the Press – which seems to be irritating for the journalist – to look upon the People of Donbas as not something completely hostile, alien and dangerous. That is a good thing. 3) BUT, he also tries to wash the hands of the Ukrainian Army clean off the blood of civilians. He suggests, that there is an ominous ‘3rd party’ shelling the infrastructure of Donbas. That is an unproven CT at best. In fact he gives a hint at the strategical agenda of Kiev to destroy the infrastructure of Donbas: just to hinder any attempt to be economically independent in the near future. If we cannot control Donbas, we will at least destroy your home and lifes! “UP: But war only makes it [== poverty] worse. Ah, well, that is unanalytical at best. Together with his ideas about the ‘good points’ of Martial Law and Press Censorship in times of war, this sheds some light on the military roadmap of Kiev, I suppose: Ruban seems to associate the Civil War with a clear economical outlook for the betterment of WHOLE Ukraine, independence of Donbas from Kiev is out of the question for Ruban. So what does the Kiev HQ really wants? Instant peace talks? A victory on the battlefield? I am not sure about this … . Ruban is an ex-general. It’s not mentioned in the original article, but he is a veteran, not active army. As for what Kiev wants, I’ll try to post about that in my livejournal in a few days. Note very important thing that general Ruban said: existence of the third party in the war. Party which is not interested in peace and do the crimes on both sides. That is important. Who is that third party? I would say CIA. I would have said the same thing. Who knows, maybe even CIA-backed ISIS will show up in Ukraine one day…of course, praying against such thought. At the same time, whoever the third party is, it is clearly working in favour of the Kiev government. I had heard months ago about traitors and a “nazi group” that fights “both ukrarmy and Militia”….but was actually working alongside the ukrarmy….In the end, it is better to ask yourself – who benefits in this?? If a mess is caused on Donbas territory, bet that it helps out the government. If someone threw a molotov at Poroshenko, bet that it supports the Donbas. It’s easier to see clearly when you ask that simple question.